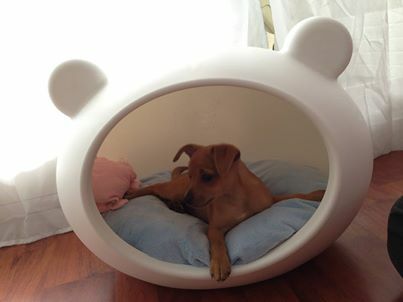 Guisapet Pet Cave bed is the perfect hideaway for cats and dogs. 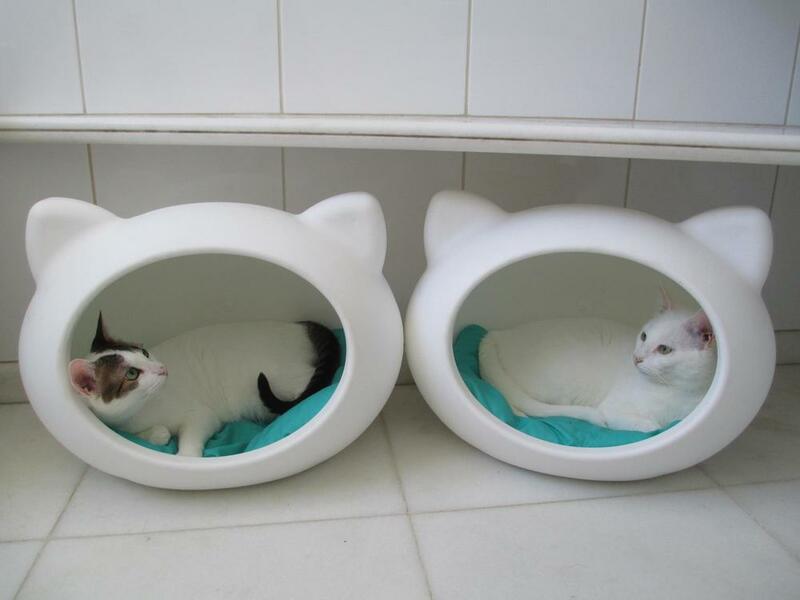 The Guisapet Pet Beds, cushion and its cover are fully washable. 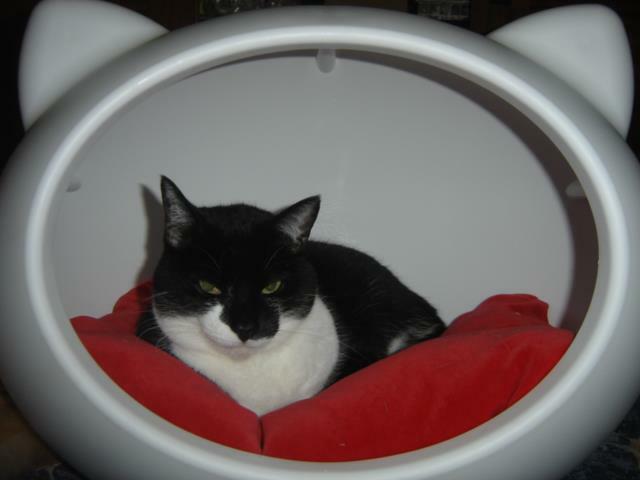 Use a soft wet cloth with gentle soap to clean the pet cave. Cushion and cover are fully machined washable on a cold wash.
Our Guisapet beds are totally recyclable. 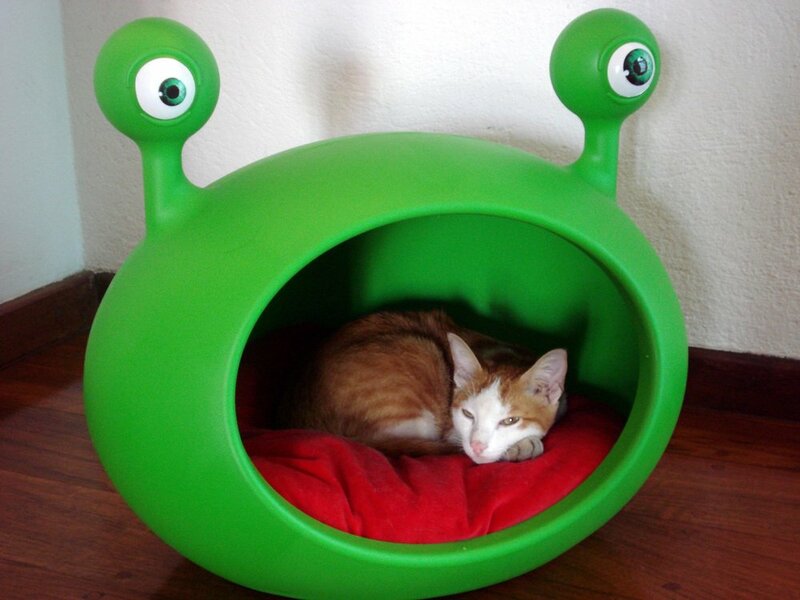 The small caves ( Monster, Cat and Small Dog beds) are made of Injected Polypropylene. 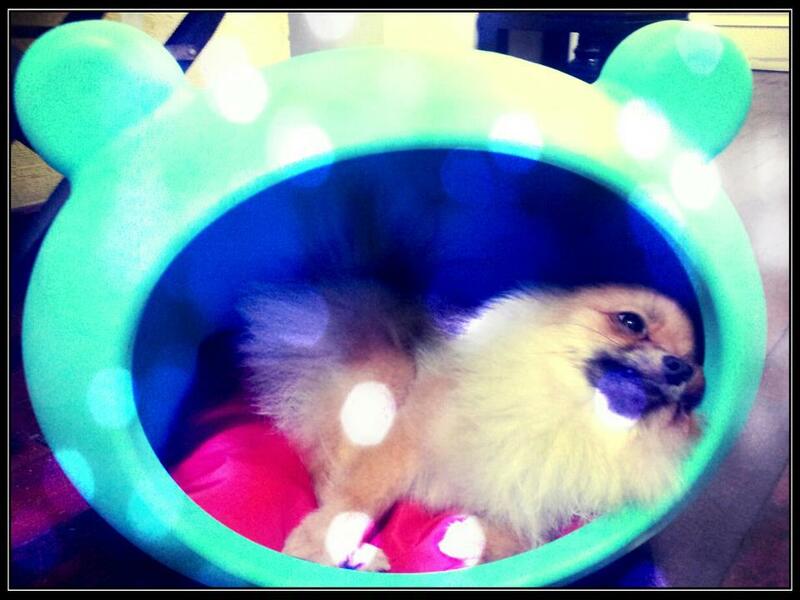 The medium dog cave is made of Polyethylene. They are UV treated, anti-mould, antistatic and repel dust and they also don't retain odour. 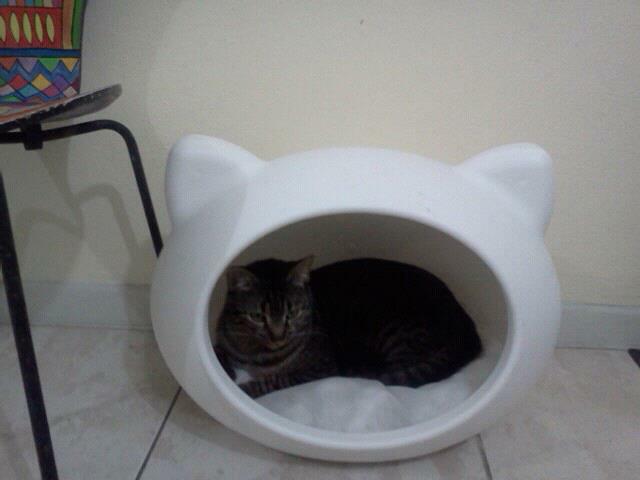 Guisapet Pet Beds are made in Brazil. 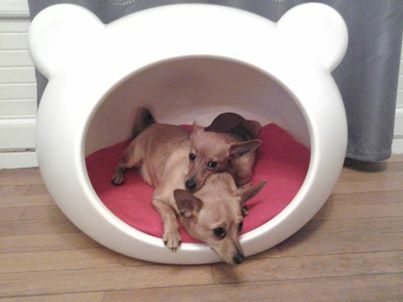 Guisapet Pet Bed collection is for cats up to 8 Kilos, small dogs under 7 Kilos and medium sized dogs up to 15 Kilos. H 40 x W 52 x D 40 cm, approximately 2,07Kg. H 50 x W 70 x D 58 cm, approximately 3Kg. 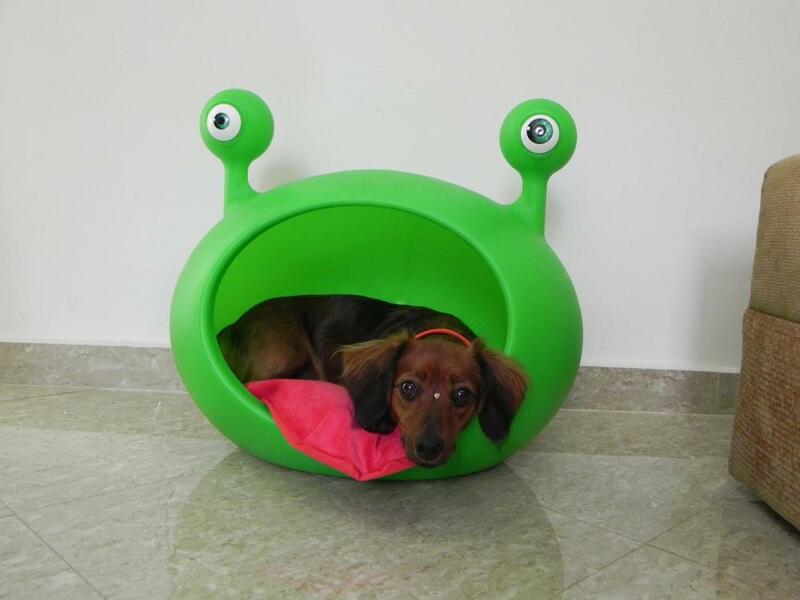 Combining design and functionality, Guisapet has made this fun bed to blend naturally into your home, offering a pleasant sleep with privacy for your pets. 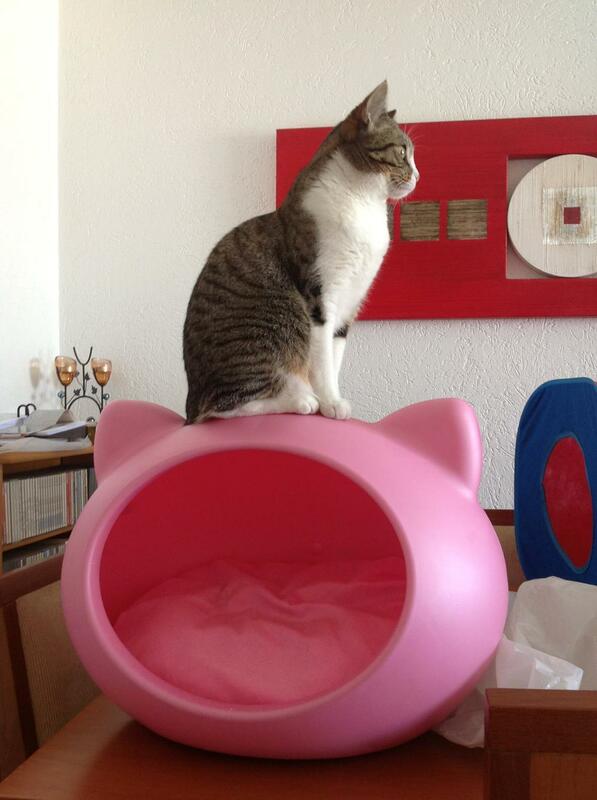 Guisapet is the perfect gift for your pet or for anyone that you know that has a little pet friend. It is designed to blend naturally in your home but as it is UV treated, it can also be placed in your garden. It is also recyclable. 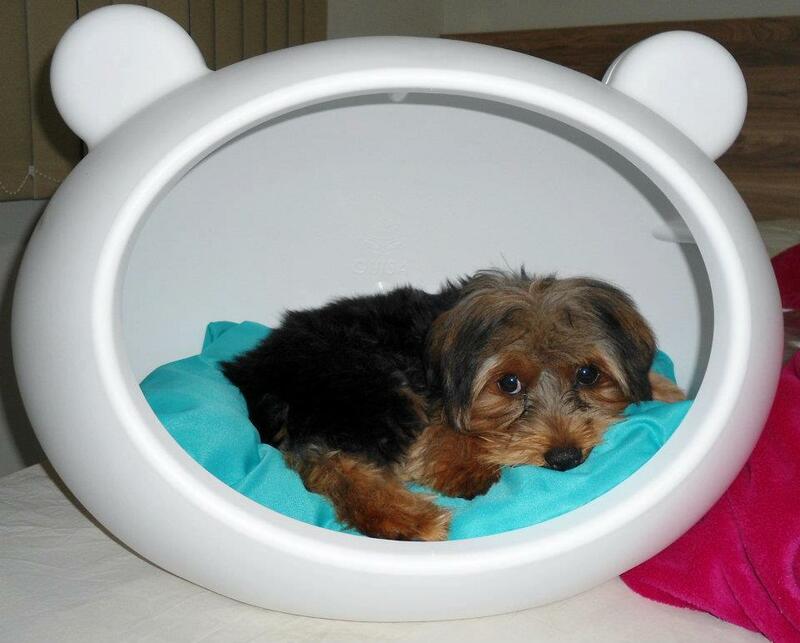 Guisapet Pet Beds are the perfect home accessory that will please not just your little pet but also the whole family. 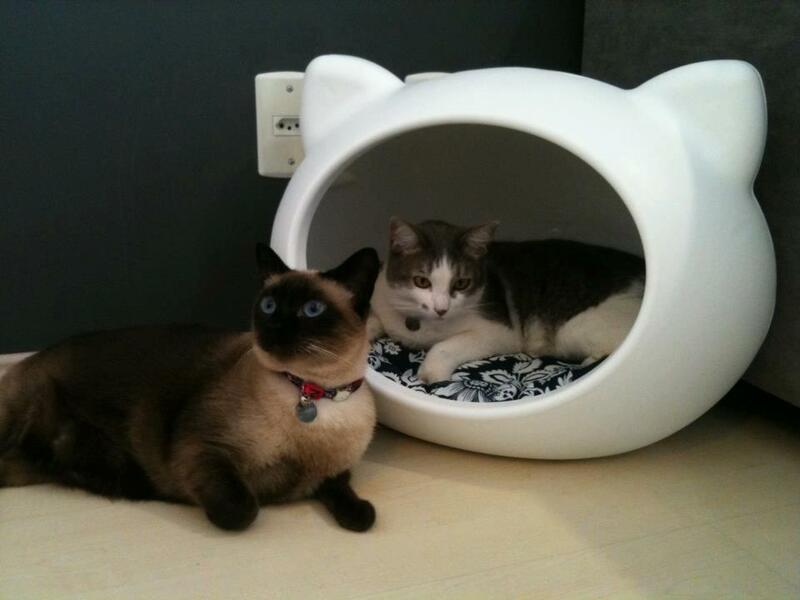 Your pet will be more comfortable and your home beautiful. 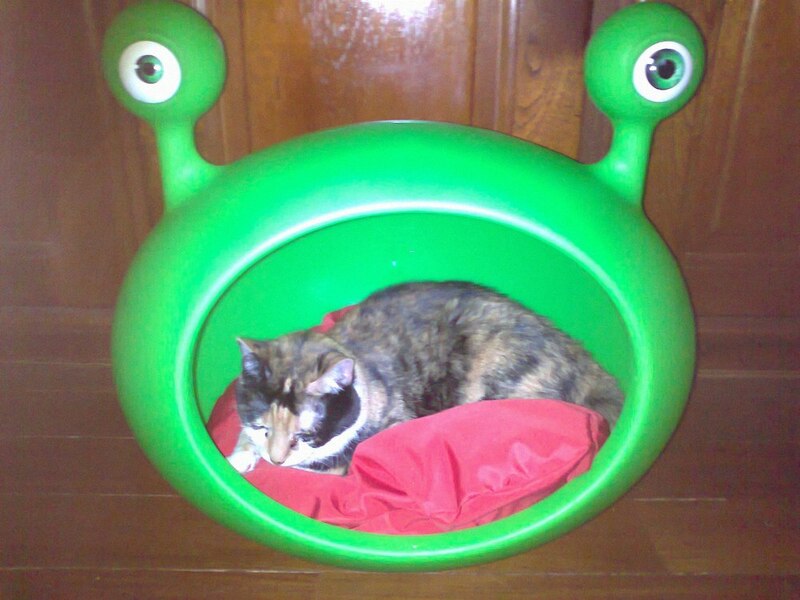 Monster Cave Pet Bed comes Red Cushion. 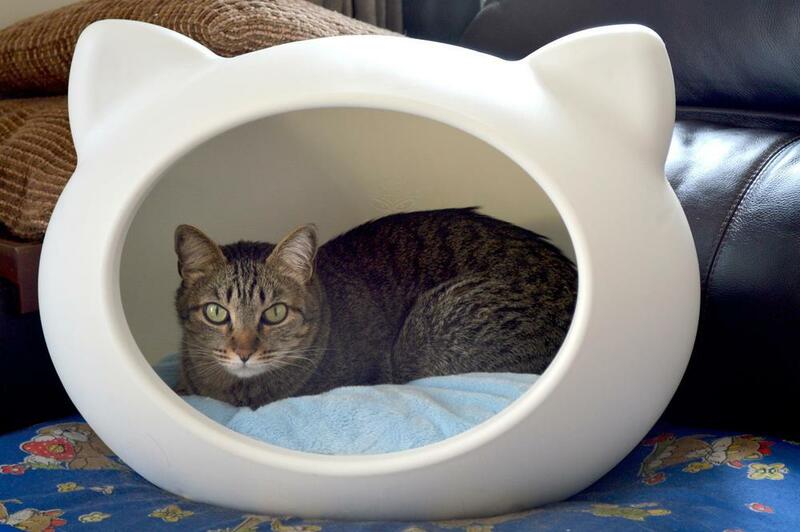 Combining design and functionality, Guisapet has made this contemporary bed to blend naturally into your home, offering a pleasant sleep with privacy for your pets. 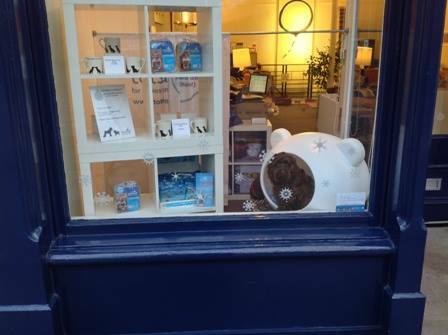 Guisapet is the perfect gift for your dog or for anyone that you know that has a little poochie friend. It is designed to blend naturally in your home but as it is UV treated, it can also be placed in your garden. It is also recyclable. 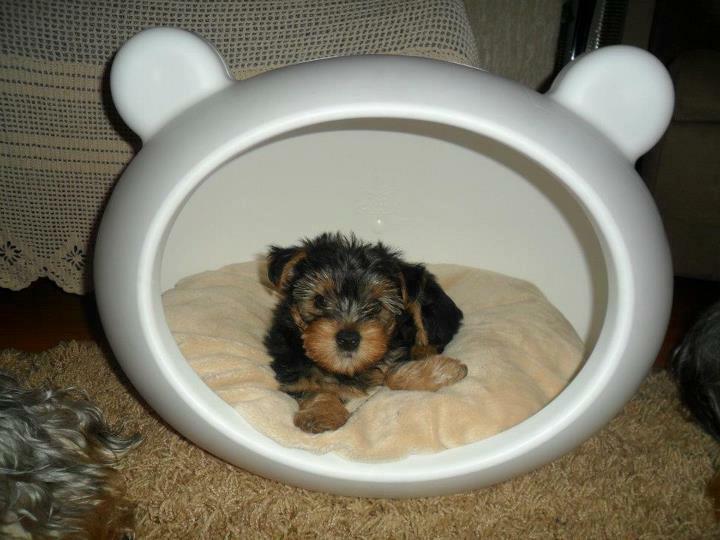 Guisapet Dog Beds are the perfect home accessory that will please not just your little dog but also the whole family. 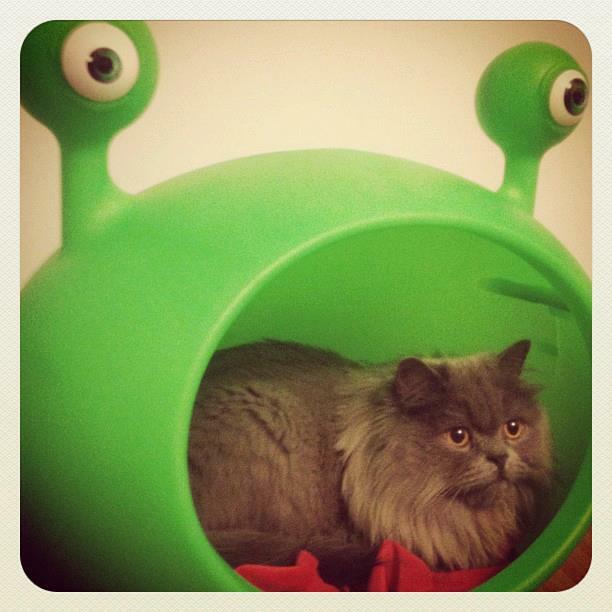 Your pet will be more comfortable and your home beautiful. White Dog Bed with Beige Cushion. White Dog Bed with Light Blue Cushion. White Dog Bed with Red Cushion. White Dog Bed with Animal Print Cushion. Blue Dog Bed with Blue Cushion. 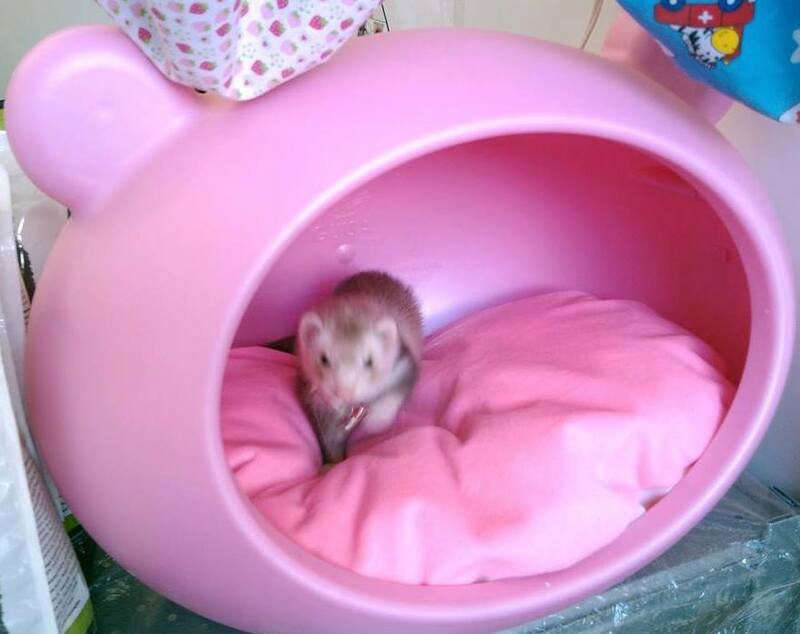 Pink Dog Bed with Pink Cushion. 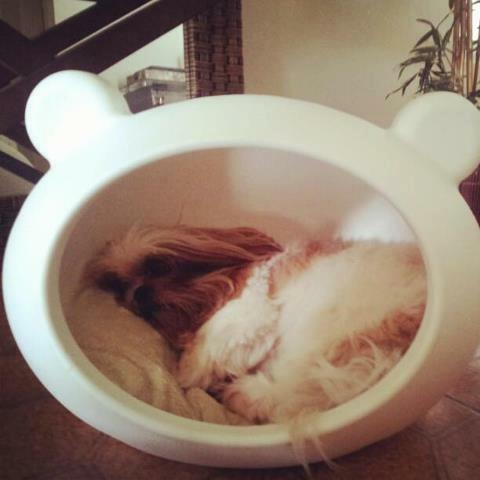 Combining design and functionality, Guisapet has made this contemporary bed to blend naturally in your home, offering a pleasant sleep with privacy for your pets. 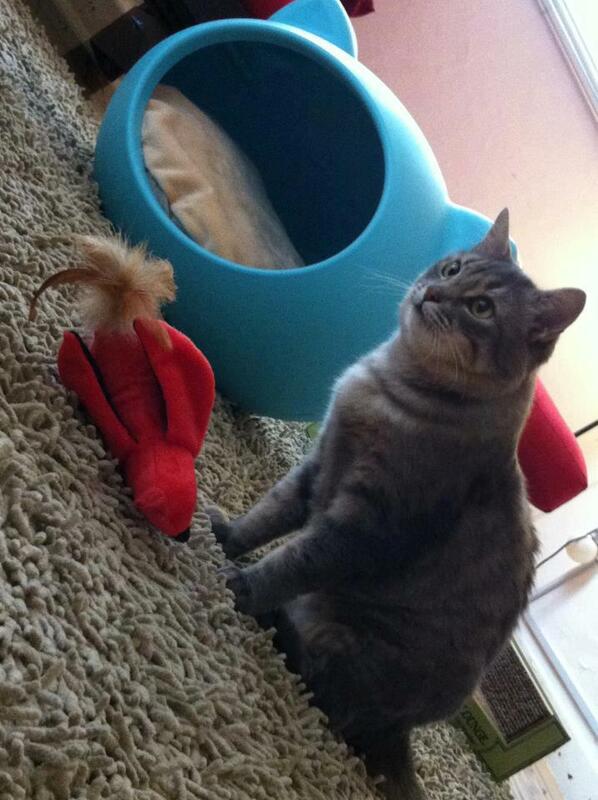 Guisapet is the perfect gift for your cat or for anyone that you know that has a little feline friend. It is designed to blend naturally in your home but as it is UV treated, it can also be placed in your garden. It is also recyclable. 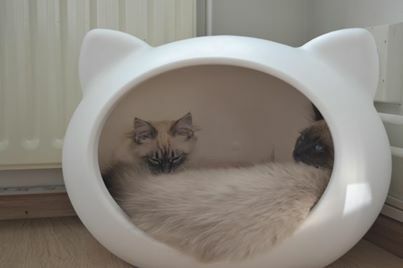 Guisapet Cat Beds are the perfect home accessory that will please not just your little dog but also the whole family. 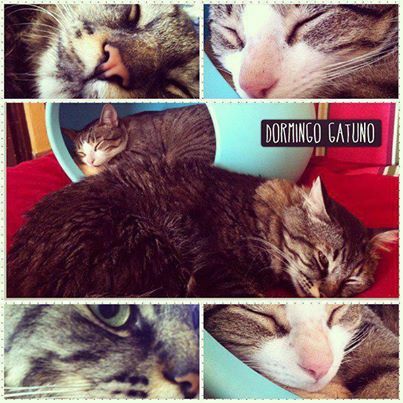 Your pet will be more comfortable and your home beautiful. 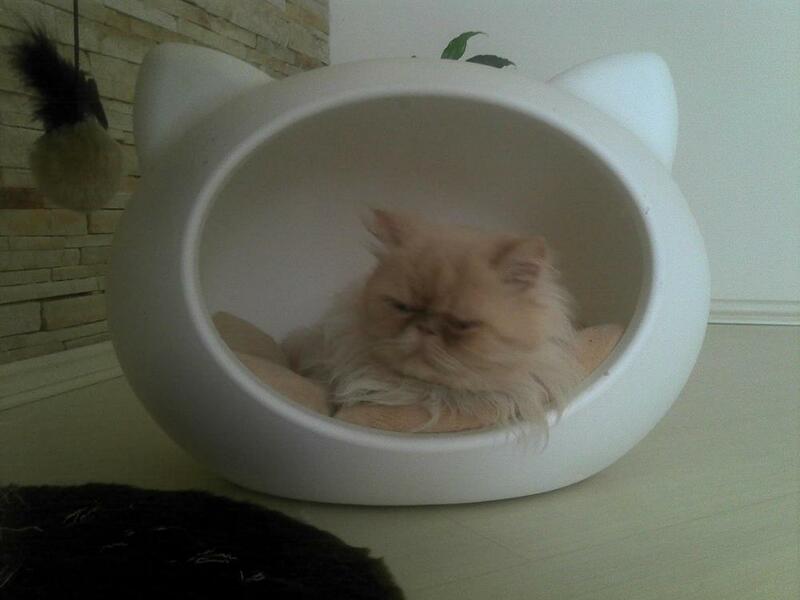 White Cat Bed With Beige Cushion. 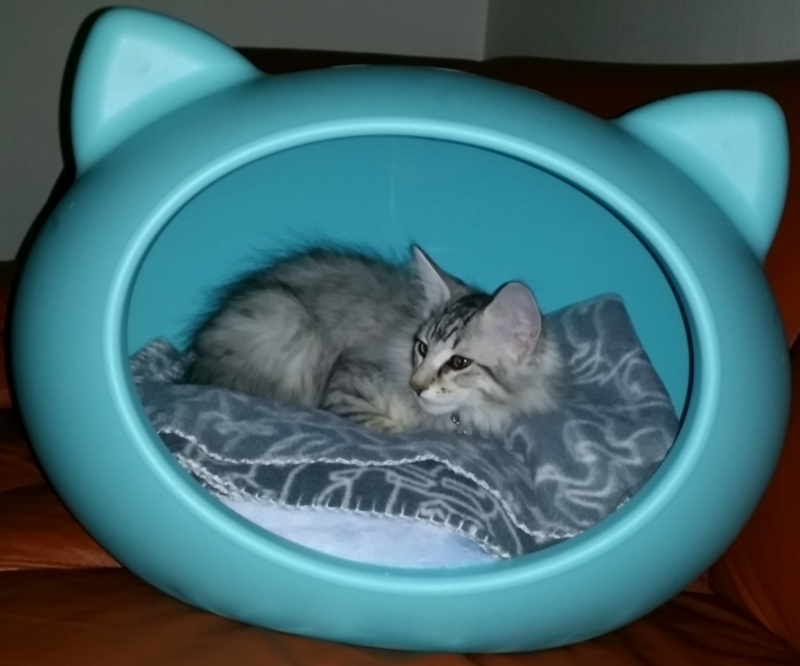 White Cat Bed With Light Blue Cushion. 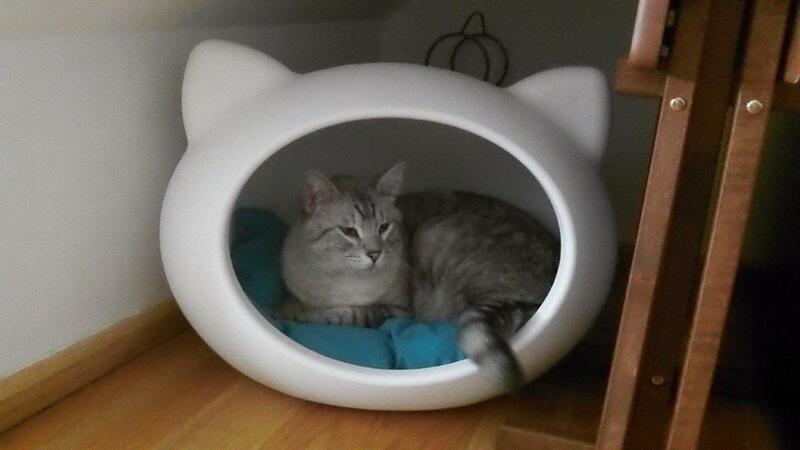 White Cat Bed With Red Cushion. 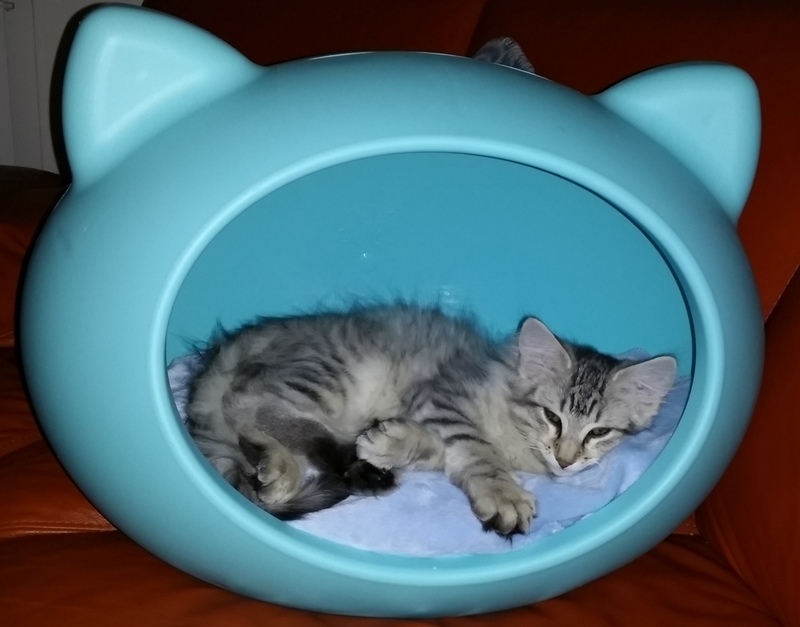 Blue Cat Bed With Blue Cushion. 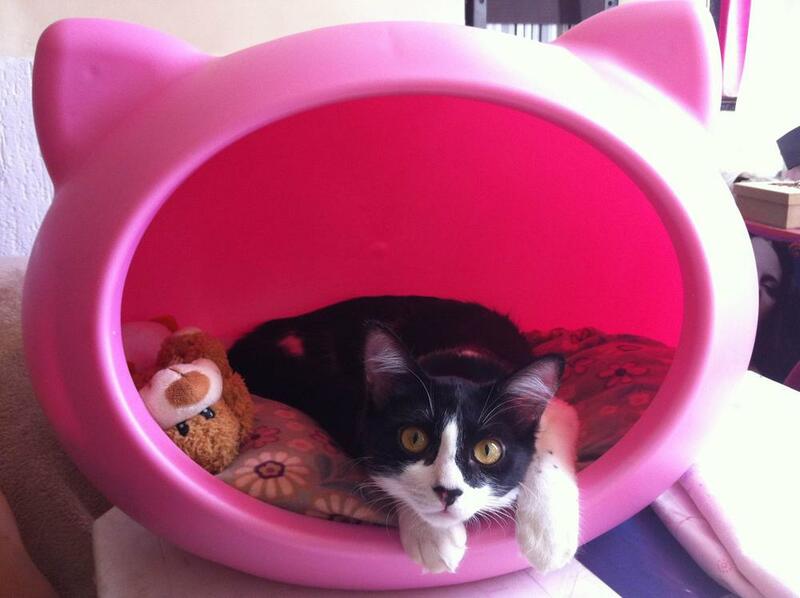 Pink Cat Bed With Pink Cushion. Black Cat Bed with Beige Cushion. Black Cat Bed with Animal print Cushion. White Dog Bed with Blue Cushion. White Dog Bed with Grey Cushion. White Dog Bed with Pink Cushion. Black Dog Bed with Animal Print Cushion. Black Dog Bed with Blue Cushion. Black Dog Bed with Grey Cushion. Black Dog Bed with Red Cushion. Black Dog Bed with Pink Cushion.